We are all, in the end, strange paradoxical amalgams. I’m no different. My tastes in reading (and films) tend to run either to dark, really gritty work, filled with self-loathing characters evolving within an utterly rotten miasma of degenerate, suspicious human nature; or, on the other hand, to unabashedly romantic, poetic, humorous works, where the truly innocent escapes the “heart-aches and the thousand natural shocks that flesh is heir to” (to quote the Boss) and emerges on the other side, still unabashedly romantic, poetic, and all a-guffaw, yet keeper of some newfound wisdom. Thus today’s selections. To tee off: if you’ve not read Martin Amis before, stop being silly and go get one of his novels. Do it now. He’s a much better writer than I am. In Night Train (1997), Amis offers us the bleak, nihilistic tale of Detective Mike Hoolihan, who on top of being an alcoholic whose liver is in the process of shuffling off to Buffalo, is also a woman. Abused by her real father at a young age, Hoolihan has found a new father figure in Colonel Tom, her boss. When the Colonel’s perfect daughter Jennifer commits suicide by shooting herself three times in the head (she was always an overachiever), he tasks Det. Hoolihan with finding answers. Jennifer was perfect – beautiful, brilliant, healthy – and she led a perfect life. Of all the people sucking air past their teeth every day, Jennifer had to be in the last dozen or so who’d want to kill themselves. Hoolihan must unravel the case. While sprinkled liberally throughout with Amis’ trademark wordplay and general linguistic tomfoolery (a pair of low-lives named LaDonna and DeLeon, for example), the text is unrelentingly cold, dark and pessimistic. Why read it then? 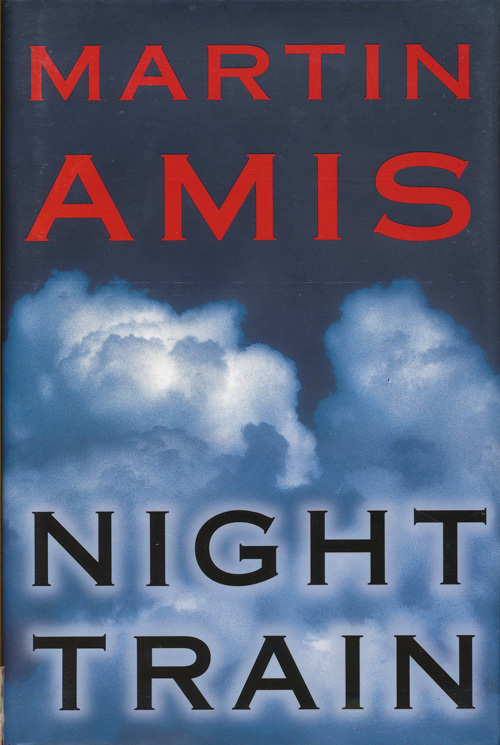 Well, it’s not for everyone, but it is still an Amis book, meaning a highly intellectualized discussion of the ugly nuts and bolts that make human beings what they are. Take it or leave it. On a different page (yuck-yuck) is Neil Gaiman’s Neverwhere (1996). You might remember Neil from my recent review of his wonderful nu-fairy tale Stardust. 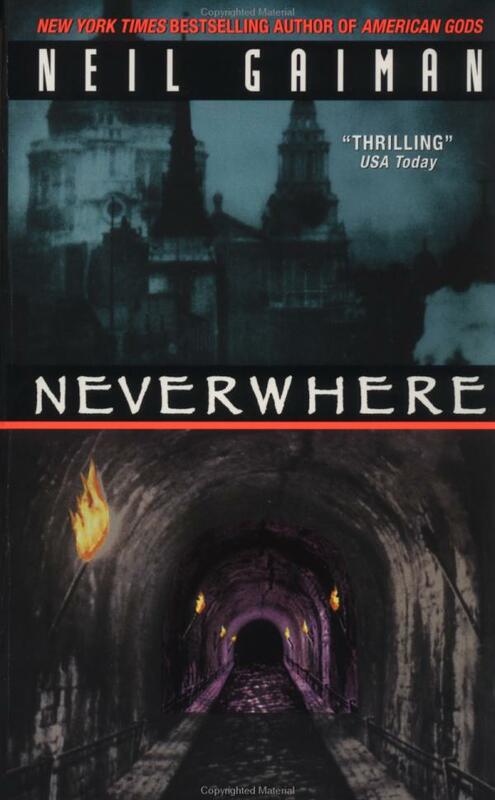 I liked that novel enough that it prompted me to re-read Neverwhere, a book that I had loved very much the first time I read it, back in my wild youth. The term magic-realism seems to have been invented to describe Gaiman’s work; while many of his stories (this one included) take place in a world very much like our own, there is always a powerful strand of magic, of wonder, coursing through the veins of his literary body. Richard Mayhew, a young professional, leads a regular life in London, until the night he meets and rescues a young girl named Door, who opens up a strange world of mystical wonders for him. What follows is a quest through the vivid, nocturnal and bizarre world of London Below. Tracked by two wonderful villains, the sinister Mister Croup and his acolyte, Mister Vandemar, Richard and Door must discover secret keys, navigate a frightful labyrinth, defeat the Beast, and eventually mix it up with fallen angels. As in Stardust, Gaiman creates a narrative that harkens back to the fairy tales of old, but with a modern spin. He gilds his story with the aforementioned romanticism, poetry and humour, and while he never shies from showing us the darker side of his fairy-tale worlds, he also never succumbs to cynicism. Gaiman loves the strangely whimsical, and while Amis’ night train rolls deeper into darkness with every chug of its engine, Gaiman’s silver train emerges at the other end of the tunnel into the crimson promise of a rising sun, still humming along, if somewhat singed at the edges.